Tome Torihama operated a small restaurant near Chiran Air Base in southern Kagoshima Prefecture, and many pilots from the base frequented her restaurant. She became like a second mother to many young pilots, and after the war she frequently told stories about kamikaze pilots she had met. Hana no toki wa kanashimi no toki (Flower season, a sad season) tells the story of Tome Torihama's life in 15 chapters. Chapters 6 to 8, which cover the spring of 1945, mention several kamikaze pilots who sortied from Chiran. However, lack of details about individual pilots greatly lessens the emotional impact of these stories. The other chapters contain some interesting tidbits about Tome's life before and after World War II, but most of these stories also lack depth. The principal source for this book comes from interviews of Tome Torihama during the last three years of her life between 1989 and 1992, when she was living at a retirement home. The author Masako Aihoshi interviewed several other people, including Reiko Akabane (maiden name of Torihama), Tome's younger daughter who met many kamikaze pilots, and Yoshikiyo Torihama, Tome's grandson who took over from Tome the operation of Tomiya Ryokan in Chiran. The extensive quotations from these interviews, most in difficult-to-read Kagoshima dialect, tend to interrupt rather than enhance the flow of the book's narrative. Aihoshi states in the first chapter that in this book she wanted to include stories about kamikaze pilots that Tome Torihama had not yet told the world. However, Hana no toki wa kanashimi no toki (Flower season, a sad season) contains very few details about Chiran's kamikaze pilots other than those published in other books. The most interesting stories and photos in this book deal with Tome's personal life before and after World War II. Tome worked as a babysitter and maid prior to her marriage to Yoshitoshi Torihama and then as a peddler who walked between several small towns in southern Kagoshima Prefecture including Chiran during the early years of her marriage. 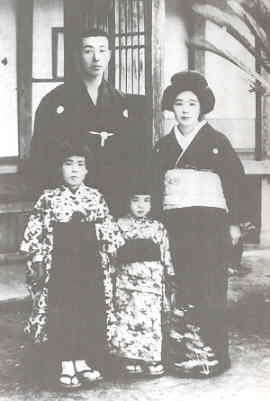 In 1929 at the age of 27, Tome opened Tomiya Restaurant when she and her husband moved to Chiran. Tachiarai Army Flight School opened a branch school in Chiran in December 1941, and Tome became like a mother to many students who frequently visited her restaurant. When she had to stay in a hospital in the nearby town of Kaseda (now known as Minamisatsuma City) for several weeks due to complications after an appendix operation, pilots from Chiran not only sent her flowers and get-well letters but also often flew their planes low over the hospital as a gesture to show they wanted her to recover soon. After the end of the war, Tome Torihama built a small monument out of sticks in remembrance of the kamikaze pilots who sortied from Chiran. In the beginning Tome walked to the former airfield where the monument was located about once a week in order to pray for the departed pilots, and she steadily increased the frequency until she went every other day. She continually campaigned to town officials, local businessmen, and townspeople for the erection of a Kannon (Buddhist goddess of mercy) statue in remembrance of the kamikaze pilots who died, and this dream finally was realized in 1955. Tome also performed tax collection work after war's end, and the book contains an interesting 1963 photo of Tome and 36 men who received a certificate of commendation from the Director of the Regional Taxation Bureau. The latter part of the book deals with Tome's move into a retirement home. Although this book covers many episodes from Tome Torihama's life, the author does not effectively connect events and provide sufficient personal details to transform them into a compelling narrative. 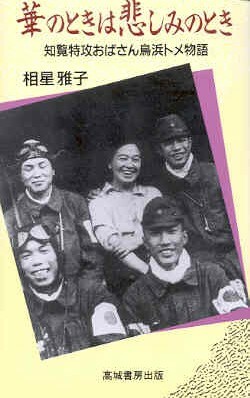 Other books with stories about Tome Torihama more successfully present her close personal relationship with many kamikaze pilots. These books include Hotaru kaeru (The firefly returns) by Akabane and Ishii and Sora no kanata ni (To distant skies) by Asahi Shimbun Seibu Honsha.